Many federal agencies deal with tobacco. For example, the Agriculture Department monitors tobacco cultivation (example here); the Treasury Department works with the Bureau of Alcohol, Tobacco and Firearms to monitor tax collections (example here); the Federal Trade Commission monitors sales and marketing (sample report here); and the Centers for Disease Control and Prevention tracks prevalence (sample here). In performing their functions, all these agencies distinguish cigarettes and smoking from smokeless tobacco and its use. 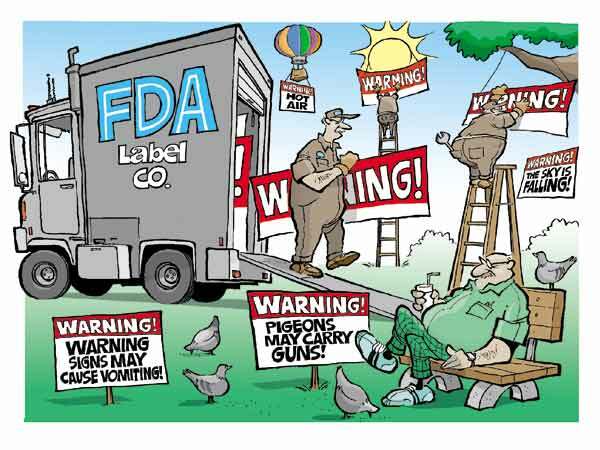 Why doesn’t the Food and Drug Administration do the same? Three senior FDA officials have authored a commentary about tobacco regulation for the New England Journal of Medicine (read it here) in which smoking and smokeless tobacco use are never distinguished. Even worse, “smoking” and “tobacco use” are used synonymously. 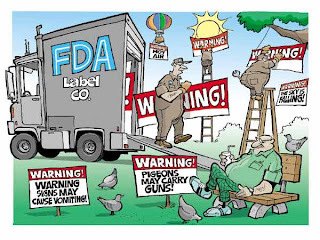 The FDA leaders are Lawrence Deyton, director of the Center for Tobacco Products, Joshua Sharfstein, principal deputy commissioner, and Margaret Hamburg, commissioner. They write, “Still, tobacco use causes more than 400,000 deaths in the United States annually…” This is just one of eight times in the article where Deyton et al. use the all-encompassing word “tobacco” when they are describing cigarettes or smoking. Muddled terminology has been a hallmark of anti-tobacco extremists for many years, but it has become particularly apparent recently, as more Americans have become aware of the vastly lower health risks related to smokeless tobacco versus cigarettes. It’s all part of the demonization of tobacco users and manufacturers. Deyton, Sharfstein and Hamburg write, “Although most Americans know that tobacco is harmful, few know specifically how damaging it is to the health of both smokers and nonsmokers.” Although this is a reference to second-hand smoke, it is also true that few Americans know that smokeless tobacco is vastly safer, and a government agency is partially to blame. The CDC routinely publishes the exact number of deaths from smoking: the current annual estimate is 442,083. But the number of deaths due to smokeless tobacco use is nowhere to be found, despite the fact that the CDC and the American Cancer Society are in possession of the applicable data. Both organizations refuse to release an estimate or share the data with outside investigators. “Truthful and not misleading” are excellent criteria that should apply not only to the tobacco industry, but to federal agencies and officials charged with tobacco regulation and public health. In a previous post I explained how Deborah Winn, an epidemiologist at the National Cancer Institute, misinformed the American public and America’s doctors about the oral cancer risks of smokeless tobacco use. Winn is also responsible for the widespread statement that smokeless tobacco users are 50 times more likely to develop oral cancer. That statement is a complete fabrication. Winn’s 1981 study in the New England Journal of Medicine is the source for this completely erroneous information. As I discussed previously, Winn reported that the relative risk for oral cancer among powdered dry snuff users was 4. The puzzle is how a relative risk of 4 has been transformed into 50. Here are the keys to the puzzle’s solution. First, oral cancer is a very rare disease, but smokers and heavy drinkers have considerably elevated risks. The most common sites for oral cancer are the sides of the tongue and underneath the tongue; other surfaces of the mouth are hardly ever affected. There are rare exceptions: oral cancer infrequently occurs among dry snuff users in the location where they place the product -- the gum and cheek. Winn’s 50 number applies only to the gum and cheek, not to the entire oral cavity (for which the number is still only 4). Even a few cases of cancer in the gum and cheek, which are virtually never otherwise involved, can raise the risk calculation. The second key doesn’t involve Winn’s main findings, but a secondary analysis she performed on the duration of dry snuff use. Winn found that the highest risk for cancer of the gum and cheek was among women who had used dry snuff for over 50 years. That risk number was 47.5, and it was based on only 15 cases (the small number of cases determined that the 95% confidence interval – the range within which the estimate lies – was very wide, from 9 to 250!). Winn rounded up her estimate to “50-fold” in the abstract. 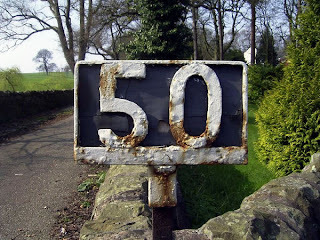 It is important to point out that the 50 and the 4 refer to the same number of oral cancer cases. Here is an example of how these numbers relate to each other. Let’s say that you have $100 in a savings account, and the average savings account in that bank has $25. This means that you have 4 times as much money as the average customer at that bank. But you decide to move your account to another bank, where the average savings account only has $2. Now you can correctly boast that you have 50 times more than the average account holder, even though you still only have $100. So, Winn’s “50” number (actually 48) is appropriately used only in the following specific description: Women who used powdered dry snuff for over 50 years were 48 times more likely than nonusers to develop a cancer of the gum or cheek where the snuff was placed. That is not how anti-tobacco extremists use the “50” number. They are eager to portray smokeless tobacco use as life-threatening, so they say that users of any type of smokeless tobacco for any duration have a fifty-fold elevated risk of oral cancer. This is a total canard. State agencies in Kentucky (here), Rhode Island (here) and Wyoming (here). It appears that Winn’s “50” legacy will persist until Americans demand that organizations and government agencies provide accurate information about the risks of tobacco. Anti-tobacco extremists have a big problem with smokeless tobacco. There is virtually no scientific evidence that long-term smokeless tobacco use is associated with ANY disease. So extremists have engaged in a media campaign to vilify these products in exceptionally creative ways. Most Americans will think that children all over the U.S. are dropping dead from accidental exposure to smokeless products. 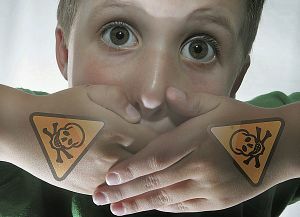 Connolly and his colleagues at Harvard, the CDC and an Ohio poison control center collected information on 13,705 incidents from the National Poison Data System from three years (2006-2008). Out of context, that appears to be an alarmingly high number. I can’t provide context on the three-year data they accessed, but I was able to review the 2008 annual report of the American Association of Poison Control Centers (read it here). I think you will find the report informative. The MSNBC subheadline (“smokeless products 2nd most common source of accidents”) reflects another omission in Connolly’s abstract. He listed smokeless as the second most common TOBACCO source in the abstract, without revealing that it was a distant second. Cigarettes were responsible for 77% of 2006-08 tobacco exposures. In comparison, smokeless tobacco was only responsible for 13% of tobacco exposures. The 2008 report shows that smokeless tobacco products were responsible for 1,105 of the 7,310 tobacco exposures, or about 15%. So let’s do the math: in 2008 smokeless tobacco exposures were 0.16% of the 684,000 total exposures among children less than 6 years of age. There is one more flagrant omission in Connolly’s journal article: he didn’t report the number of exposures involving nicotine medicines. That information is available from poison control reports; in 2008, 589 children under 6 years were exposed to nicotine medicines, slightly more than half of those exposed to smokeless tobacco. It’s another example of Connolly’s extreme selectivity. Connolly used the results of his study to comment that tobacco manufacturers were “recklessly playing with the health of children.” When put into proper perspective, (exposures like household cleaners, solvents and oils, paint and paint strippers, fertilizers), Connolly’s selective reporting of poison control information is recklessly playing with the tolerance of the American public for honest discussion of important public health issues. On Wednesday April 14, the U.S. House Subcommittee on Health had a “kangaroo-court” hearing on smokeless tobacco. Announced only a week earlier, it was clearly a reaction by anti-tobacco extremists to an April 4th “60 Minutes” story about Sweden’s successful tobacco harm reduction efforts (watch it here). The hearing was a diatribe against smokeless tobacco. Organizers invited only strident anti-tobacco crusaders to testify. One notable witness was Deborah Winn, a National Cancer Institute epidemiologist who fueled the misinformation campaign against smokeless tobacco almost 30 years ago. Winn was the first author of an epidemiologic study concluding that “exceptionally high mortality from [oral cancer] among white women in the South is primarily related to chronic use of snuff. The relative risk associated with snuff dipping among white nonsmokers was 4.2.” The study, published in the New England Journal of Medicine in 1981 (abstract here), irresponsibly led the public and the medical establishment to falsely believe that smokeless tobacco was responsible for an American oral cancer epidemic. First, Winn exaggerated her own findings. She claimed that smokeless tobacco produced an “exceptionally high mortality from [oral cancer],” even though her risk estimate only resulted in approximately 12 deaths per year among 100,000 long-term smokeless tobacco users. That mortality rate is not trivial, but it is not “exceptionally high.” It is comparable to the annual death rate of 12 to 15 per 100,000 users of automobiles – a figure that does not deter American drivers. Exaggeration is unacceptable, but Winn’s study has a special place in the annals of American smokeless tobacco misinformation. It focused solely on a niche tobacco product -- powdered dry snuff -- used by a tiny number of women in the southern U.S. But this passage in Winn’s article transferred dry snuff’s risk to all smokeless products: “The carcinogenic hazard of oral snuff is of special concern in view of the recent upswing in consumption of smokeless tobacco in the United States.” This misleading statement appeared in the Associated Press wire story carried by the nation’s media. Winn’s results should never have applied to chewing tobacco and moist snuff, popular American smokeless products that have been used widely with significantly fewer medical consequences than powdered dry snuff. Long after her widely cited article was published, Winn acknowledged in two obscure scientific forums that her results were specific to powdered dry snuff. In 1986, Winn was asked whether the patients in her study had used “dry snuff or [moist] snuff.” She replied, “Almost exclusively dry snuff,” and then admitted that “Dry snuff is now [in 1986] a minor portion of the U.S. market.” Her late acknowledgment in a sparsely attended scientific meeting did nothing to deter tobacco prohibitionists from misapplying her mortality claims to all smokeless products. The impact of Winn’s sloppy epidemiology and obfuscation is hard to overestimate. It is as if the federal official investigating the Toyota Prius accelerator problem stated that all automobiles are at risk for the defect. Winn’s 1981 report effectively projected the risk from a small subset of smokeless products to the entire smokeless category. After nearly 30 years, Winn’s misinformation should no longer be used to keep millions of American smokers from switching to vastly safer smokeless tobacco products. Consider an American addiction: automobile travel. Driving around town or around the country, we recognize and accept a small but measurable risk of dying in an accident. We take comfort in the fact that our cars’ seat belts and airbags will protect us. Now imagine a world in which the American Automobile Association, the Fraternal Order of Police and the National Highway Traffic Safety Administration declared that cars with seat belts and airbags are just as dangerous as cars without these devices, and that the only way to avoid dying in an auto accident was to avoid automobiles altogether. This is an outrageous scenario. We wouldn’t tolerate the dissemination of such demonstrably false information by non-profit groups, professional organizations and government agencies. 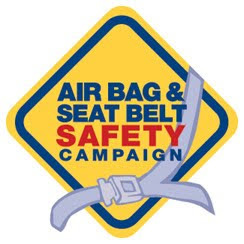 It is well established that these harm reduction measures (seat belts and airbags) have helped reduce automobile accident deaths to record-low numbers (34,000 in 2009). 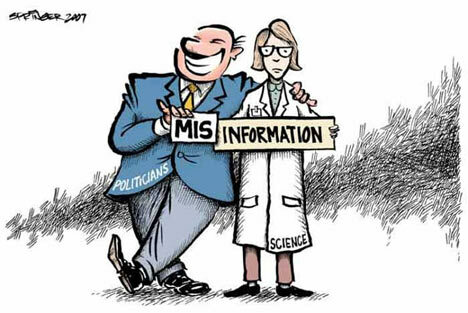 So why do we tolerate misinformation about smokeless tobacco, a harm reduction measure for smokers that could prevent over 400,000 deaths per year? My research group just published a study documenting that misinformation about the risks of smokeless tobacco use has led to widespread misperception among highly educated university faculty, even those in health-related schools. The first author of our study was Nicholas Peiper, a doctoral student in epidemiology at the University of Louisville. Ramona Stone and Riaan van Zyl of the U of L Kent School of Social Work were our collaborators. The study was published in Drug and Alcohol Review (abstract here). We conducted a survey that quantified the risk perceptions of cigarette smoking and smokeless tobacco use with respect to general health, heart attack/stroke, all cancer, and oral cancer among full-time faculty. We compared the results from faculty on the health science campus with those in schools not related to health. We found that misperception was common among this highly educated group. For example, 51% of all faculty incorrectly believe that smokeless tobacco use confers general health risks that are equal to or greater than smoking. The misperception rate was lower for heart attack/stroke risk (33%) but higher for cancer (61%). The misperception rate for oral cancer was stunning: 86% of all faculty incorrectly believe that smokeless tobacco use confers risks that are equal to or greater than smoking. Although faculty on the health science campus had a somewhat lower rate than others (81% vs. 91%), our survey provides evidence that most health professionals have a poor understanding that smokeless tobacco use is vastly safer than smoking. Here is an excellent example of misinformation from respected health organizations. The Canadian Cancer Society and the Canadian Heart and Stroke Foundation sponsor the quit-smoking website I Will Succeed. Look at question 4 of the simple quiz, “Chewing tobacco is safer than smoking it. True or False?” It is pitiful that these organizations consider False the correct answer, and their explanation is either completely misleading (“the exposure [to nicotine] is similar; a tin of snuff equals roughly 60 cigarettes”) or absolutely false (smokeless “can boost the chance of cheek or gum cancer times fifty”). These societies are misinforming Canadian smokers and health professionals. Modern smokeless products, which satisfy smokers and can be used invisibly in any social situation, are as widely available in the U.S. as seatbelts. Thus there is no barrier to their widespread adoption as safer nicotine delivery substitutes for cigarettes by inveterate smokers. Still, large scale tobacco harm reduction will not happen in the U.S. until smokers are provided truthful information about the low health risks of smokeless products.